Make sure most income comes from repeated customers. Attracting new customers is an expensive sport and this CRM is gives you strong relationship with your customers in an efficient way. 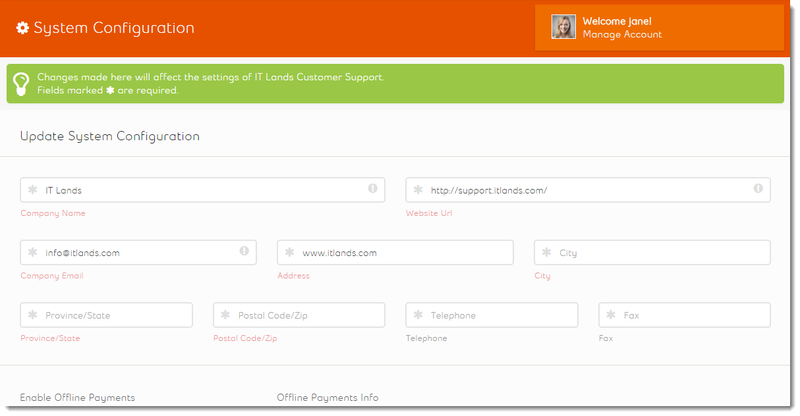 your customers can view the pending invoices with the facility of pay invoice via different payment gateways. Your customers can access all the options that are available on the website from the customer`s mobile app. For you customers satisfaction all the ongoing projects will be visible in the projects area with its completed percentage. 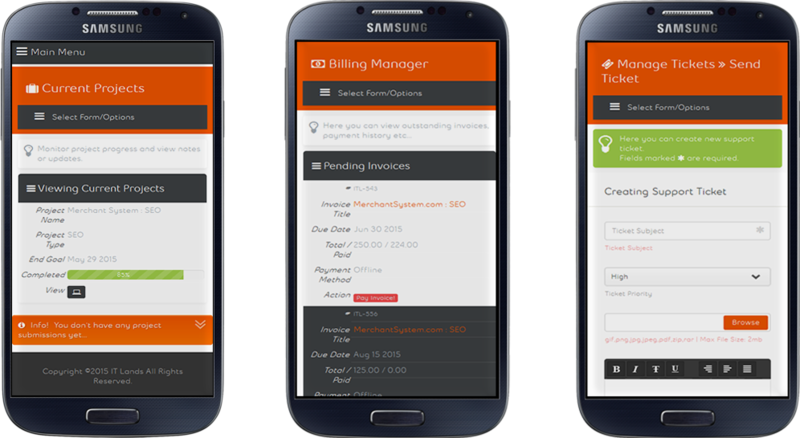 Billing shows the pending invoices to customer with the option of pay invoice and also the archived invoices which have been paid already with the option of print invoice. 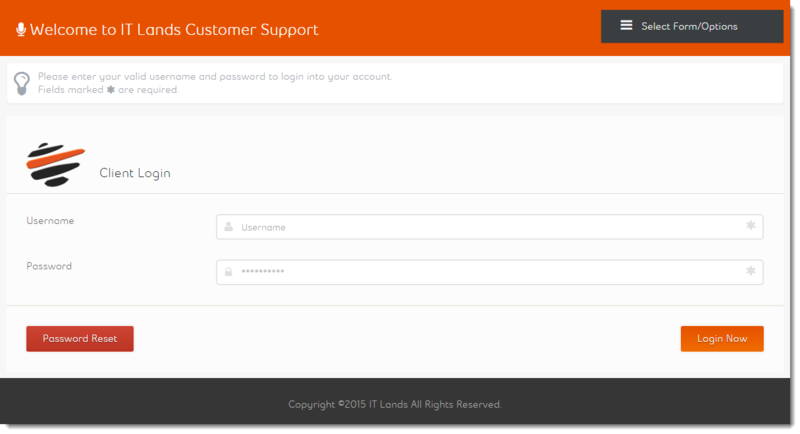 Customer can manage his/her own account any time. Here you can find latest news announcements, and also contact to your support team. 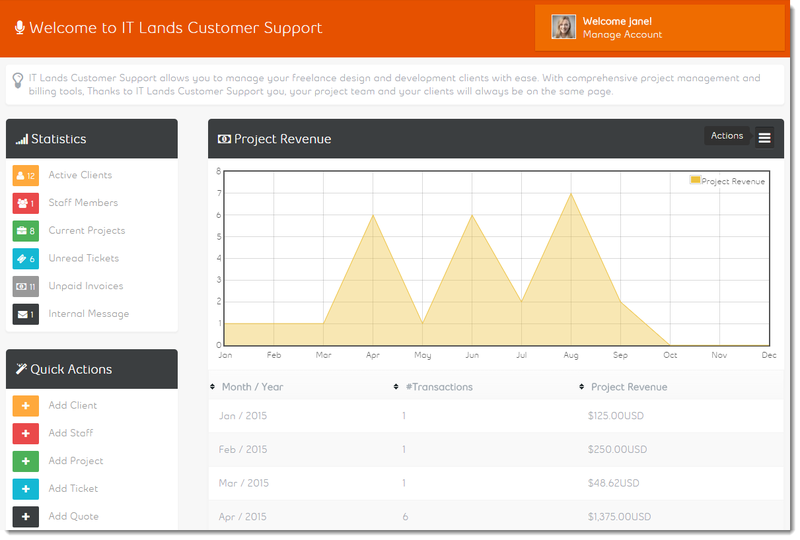 The admin panel has the option of dashboard, staff, clients, projects, billing, and system setup and manage. 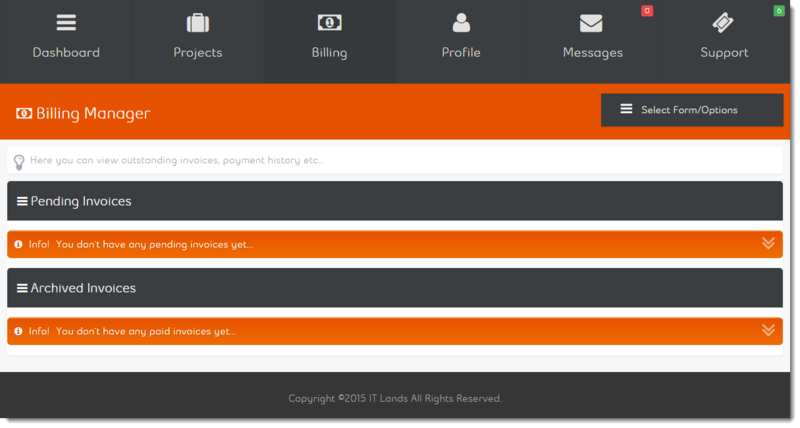 On dashboard, you can check the statistics, project revenue and service transactions. Here you can manage your staff member who will be responsible to handle clients. 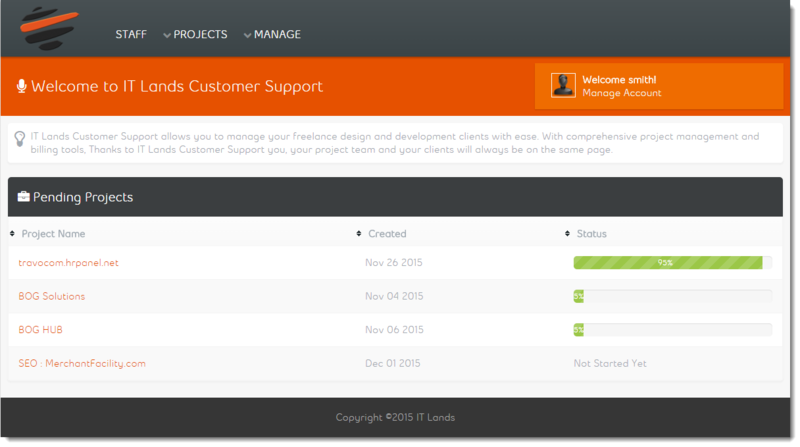 Here you can manage all your clients. 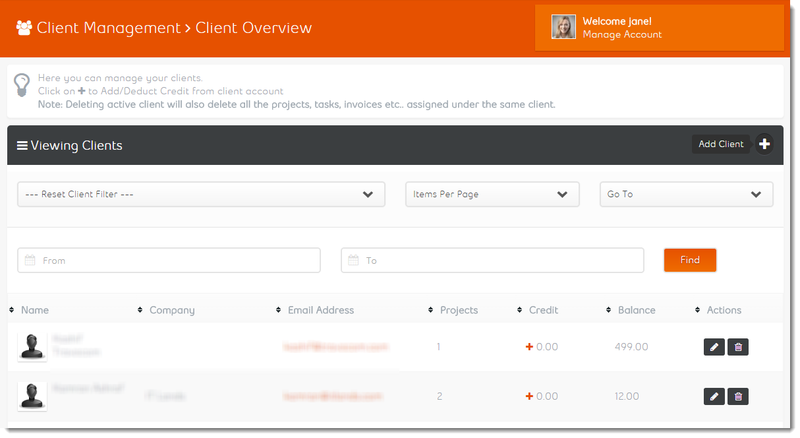 You can easily add/edit and delete any client or can deduct credit from the account of client. Note: If you delete any client, it will also delete the projects, tasks, invoices etc. assigned under the same client. 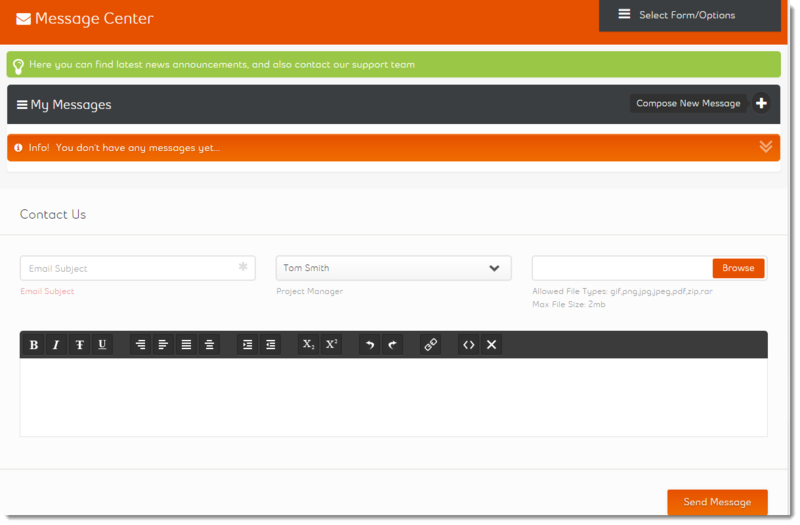 - create invoices and email unpaid invoices to your customers. - view quotes and transactions. 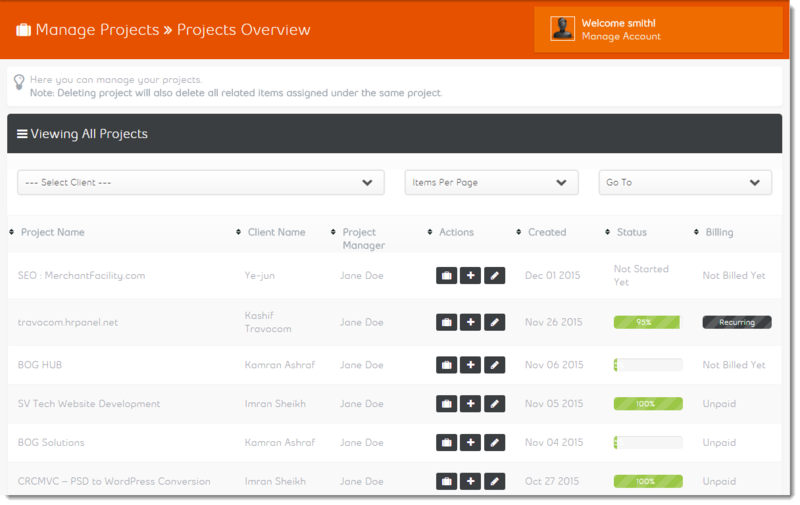 - You can also create & download project report. 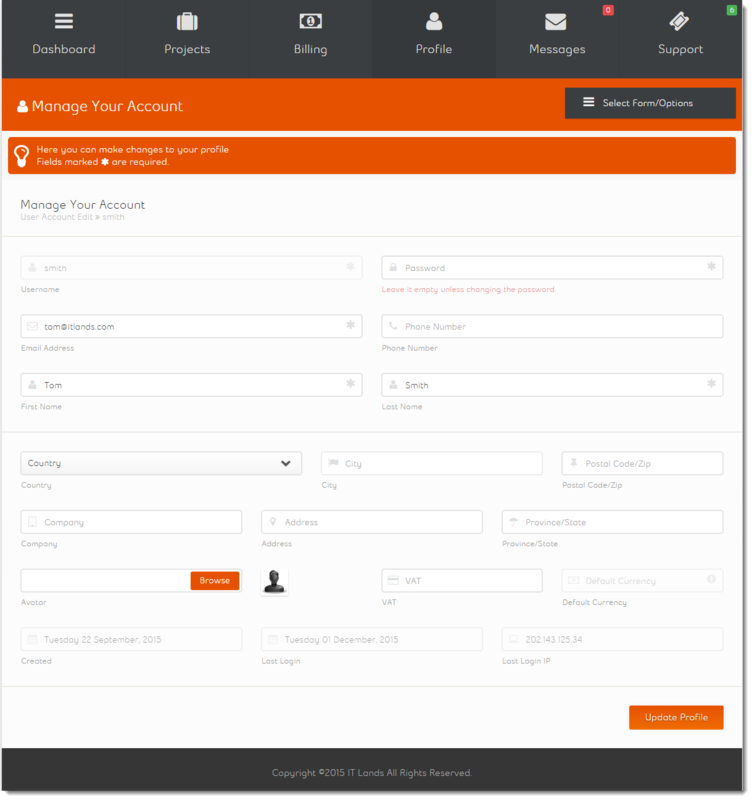 Via system setup you can setup and manage System Configurations, Payment Gateways, Database backups and via email manager you can also send email to all customers / all staff members or selected users at the same time. By using this great feature you can create your own feedback forms, survey forms, Estimation form and anything you need. You can review you events in beautiful calendar view. 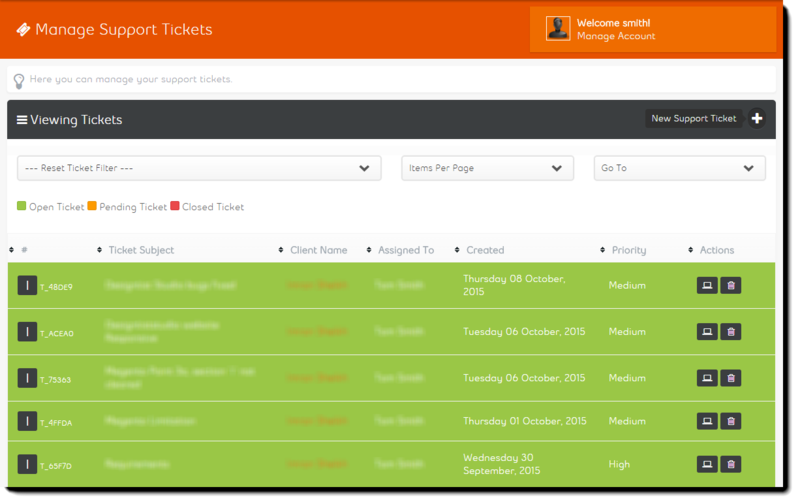 Also you can manage your support tickets.